HOME > What are Karakuri? Karakuri [means of manipulating] (from the conjunctive form of the verb karakuru) 1. a device made to move through the manipulation of strings. By extension, a device or contrivance. 2. a plot. 3. 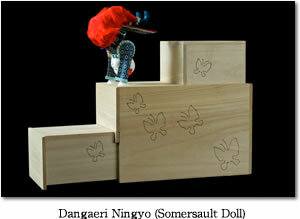 Synonym of Karakuri ningyō - a doll which achieves movement through the use of a wind-up clockwork mechanism. The word "Karakuri" is expressed using a number of different Chinese characters in documents from the Edo period, including "カラクリ", "絡操", "唐繰", "繰", "機関", "機巧", "巧機", "璣", "旋機", "機捩", "関捩", "関鍵", "器機", and "機構". Objects that move based on a scientific or technical mechanism and/or devices used to perform tricks or magic, that is to say anything that moves based on machinery or a mechanism, may be considered examples of Karakuri. 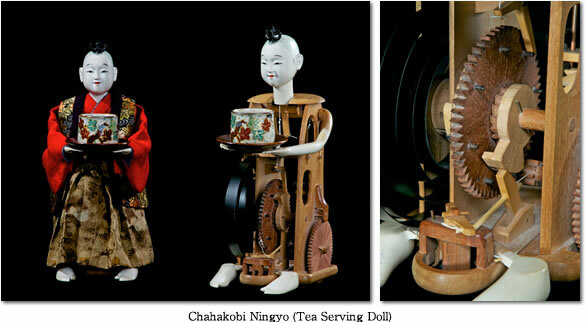 According to Yamazaki Kōsei, as relates to dolls, Karakuri is defined as follows: "(1) In addition to being a clever mechanism, it possesses a mechanical structure; (2) the workings of the interrelating elements produce a new movement phenomenon; and (3) a fantastical effect is achieved through the successive stages of this movement. This defines 'Karakuri'. Also, (4) as this arises from an association of parts, this effect is very indirect. (5) The source of this movement is either human energy, a physical mechanism (spring), or fluid force (water or sand). (6) As is the case with marionettes, the movement cannot be deconstructed by the human eye. 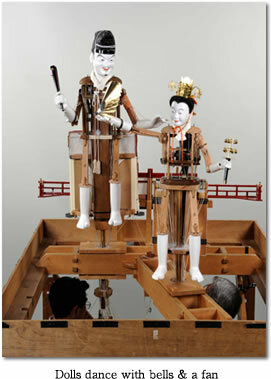 (7) Karakuri do not operate directly based on mechanisms like those used in Tezuma Ningyō (another kind of doll popular during the Edo period). In other words, "this clever contrivance is defined as possessing a mechanism based on the action of interlocking parts, its structure cannot be discerned by the human eye, it is indirect, and it represents a fantastical art form that surpasses the imagination. "Takeda kikō ha genson suru ka? - Does a Takeda mechanism exist today? ", Japanese Society for Theater Research Bulletin No. 9, 1967. Karakuri can be roughly divided into three categories: Dashi Karakuri, Zashiki Karakuri, and Shibai Karakuri. Dashi Karakuri are incorporated as representatives of the gods on floats used during religious festivals for Shinto shrines and are primarily religious objects, while Zashiki Karakuri were developed as luxury toys. Meanwhile, Shibai Karakuri were created with the intent of demonstrating the entertainment value of Karakuri to the general public. Daisha Karakuri mechanisms can be divided into two types: Ito Karakuri and Hanare Karakuri. These dolls are manipulated through the use of strings attached to the inner parts of the doll. Dolls positioned on the upper stage of the float are nimbly manipulated by puppeteers located in the middle of the float through the use of a network of strings. Though marionettes used in western countries and Yōkiza dolls, still in use in the Kanto region to this day, are manipulated using strings, this is achieved by hanging the dolls from the strings and manipulating them from above. This differs from the concept informing Ito Karakuri. 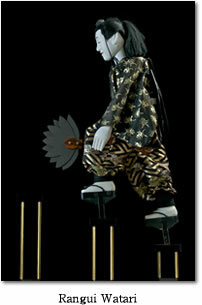 The goal of Ito Karakuri is to give viewers the impression that the dolls are moving completely on their own. Many of these dolls have been incorporated into the storylines of Noh, Kyogen, and other plays which showcase the high skill level of the puppeteers. These dolls rely on an internal mechanism to move independently without guidance from human hands. The fact that the dolls can perform many actions has been used as their selling point. Spectators are often curious about the mechanism at work in the dolls, and can't help being drawn in by the dolls' movements. The most well-known types of these dolls are the Aya Watari (Tightrope Walker), Daisharin (Swinging Doll), Rangui Watari (Picket Hopper?) Tōritsu no Kane (Handstand Bell Ringer), and the Tōritsu no Taiko Tataki (Handstand Drummer). 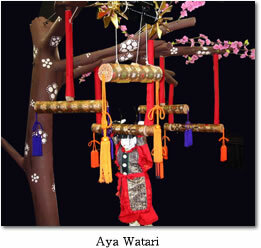 The doll grasps a pole called an aya which is attached to the branch of a tree or another part of the upper stage of the float, then proceeds to perform the amazing feat of moving from one pole to the next. The mechanism inside the puppet body is composed of a spring traditionally made from baleen (a strong, flexible bristle found in the mouth of the baleen whale), the movement of which jerks the doll body back and forth, causing its hands and feet to hook onto the poles. Using one hand, this Chinese doll performs a handstand either on a wooden pedestal or on the shoulder of another doll, meanwhile tapping a gong or drum with the other hand. This dolls work by way of an L-shaped bolt installed from below. Just like in a horizontal bar competition in gymnastics, the doll holds onto a bar. When a latch installed in the doll's hands engages, the doll begins swinging around the bar like a gymnast. A true masterpiece of Owari Karakuri doll craftmanship. As the name in Japanese suggests, this doll walks across poles of various heights installed on the top of a parade float - a surprising feat viewed that the doll is wearing high heel geta clogs! This amazingly human-like feat is achieved through a mechanism installed in the doll's clogs. When one of the doll's clogs lands on top of a pole, a latch inside of the clog attaches to a latch in the pole directly underneath and stabilizes the doll. Next, a metal pole pushes the attached foot upward, and the resulting momentum is transferred to the other foot, causing it to advance to the next pole. Generally speaking, Ito Karakuri tend to achieve something of a theatrical or stage performance effect by carrying out an intricate series of movements, while Hanare Karakuri create more of a circus-like atmosphere by performing acrobatic stunts. 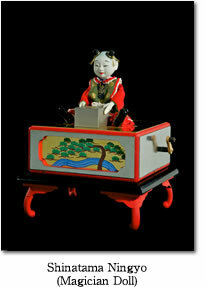 The history of Zashiki Karakuri began in the Muromachi period, when dolls featuring simple mechanisms first appeared. By the Azuchi-Momoyama period, the mechanisms had become more complex. It is believed that historical figures such as Oda Nobunaga and Toyotomi Hideyoshi would have been familiar with these parlor toy dolls. 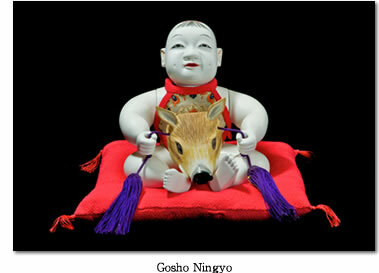 Finely crafted dolls such as the Gosho Ningyō were adored by nobles, feudal lords, and others members of the upper class. 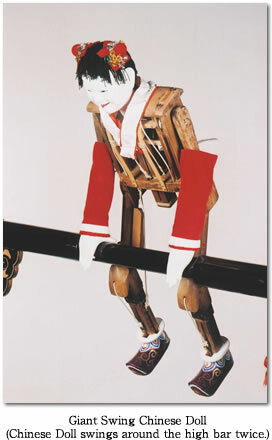 The most well-known examples of Zashiki Karakuri include the Chahakobi Ningyō (Tea Serving Doll), the Yumihiki Dōji (Archer Boy), the Dangaeri Ningyō (Somersault Doll), and the Shinadama Ningyō (Magician Doll). The first public performance featuring Shibai Karakuri (stage dolls) is thought to have been that of the first Omi Takeda in 1662 (2nd year of the Kanbun era), which was held in Osaka's Dōtonbori district. The show was simply titled Karakuri Shibai (Karakuri Performance). 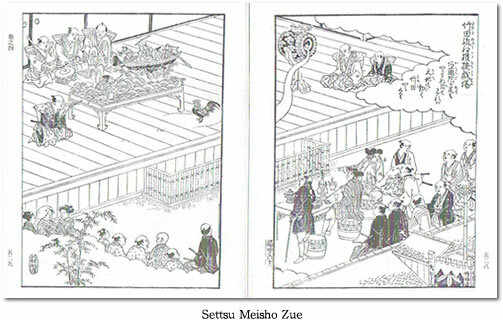 In the Settsumei Shozue, an illustrated guide depicting life in central Japan which was printed in the late 18th century, mechanical Karakuri and string-operated puppets, as well as large mechanical clocks and other devices, are shown being used in Takeda's Karakuri Shibai. 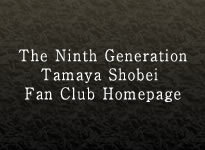 Originally performed in Osaka, the show went on the road to Kyoto, Nagoya, and Edo, where it was performed on the grounds of various shrines and temples in a tent displaying a banner reading "Takeda Karakuri". Famous modern-day Karakuri performances include the Suisha (Water Wheel) Karakuri of Toyotama-Hime Shrine in Chiran-chō, Minamikyushu City, the Suisha Karakuri at Takeda Shrine in Kaseda, Minamisatsuma City, the Kiryū Karakuri Puppet Show in Kiryū City (held at the Kiryū Karakuri Puppet Show Hall), and the Yame Fukushima Toro Ningyō Festival held in Yame City, Fukuoka Prefecture. Here in Aichi Prefecture, a Jōruri ballad drama is performed using Karakuri dolls on a float at the Chiryū Festival (held at Chiryū Shrine in Chiryū City). Even in Aichi Prefecture, considered a mecca of Karakuri culture, this is a rare event. 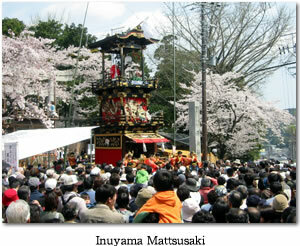 The drama is performed on one float, while musical accompaniment is performed on three other floats. During the Edo period, Karakuri performances took place on the upper levels of the four floats, while Bunraku puppet performances took place on the lower levels. 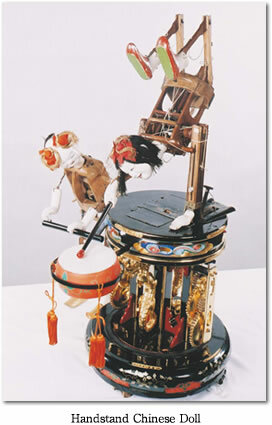 In order for Karakuri dolls to move, they must be either directly manipulated by puppeteers using strings or levers, as is the case with Dashi Karakuri, or function independently thanks to spring mechanisms made using whale baleen, as is the case with Hanare Karakuri. In addition to whale baleen springs, some Hanare Karakuri are powered by gravity through the use of mercury, sand, or water. Suisha Karakuri, meanwhile, are powered by hydropower through the use of water wheels, while Tsunabi are powered using heat from fireworks.